I am so excited for NSD this year! There are so many fun challenges and games here at TDP, and best of all, we're not waiting until Saturday to start the party, so you have even more time to play along! With that, I'm here to bring you the first challenge of NSD 2017: the Parade challenge. In this challenge, you must create a layout of hybrid project using 100% products from at least 2 (or more!) 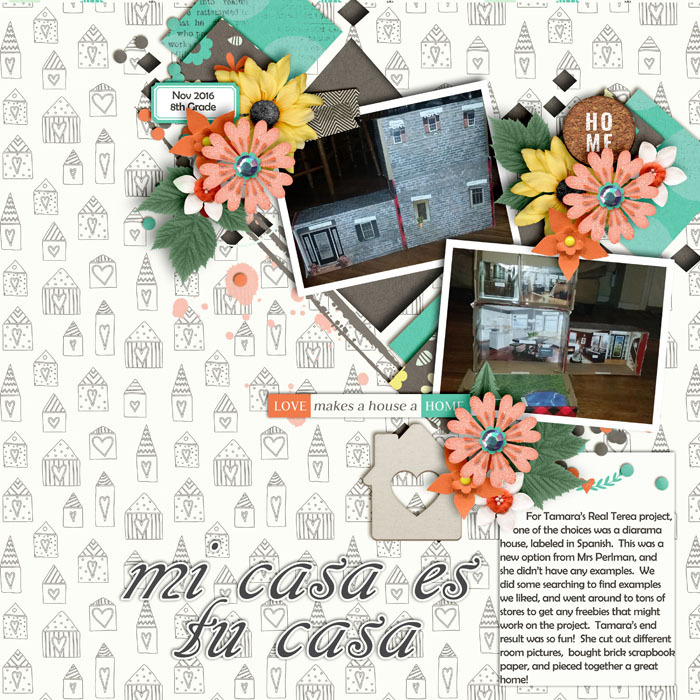 TDP designers who participated in the May 2017 Digiscrap Parade. Basically, you'll need to mix and match the pieces you picked up (for free!!) from the current Parade blog hop, but ONLY products from TDP designers, nothing from other designers who participated in the current parade. 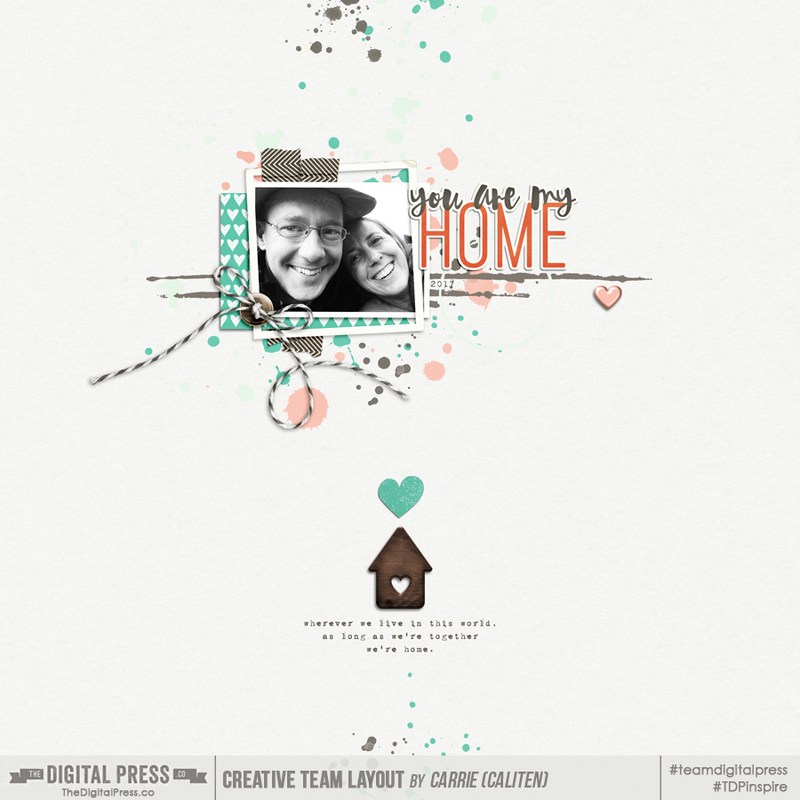 There are no other restrictions or requirements for your layout or project, so what you create is totally up to you (as long as you use only May 2017 Digiscrap Parade pieces from TDP designers). 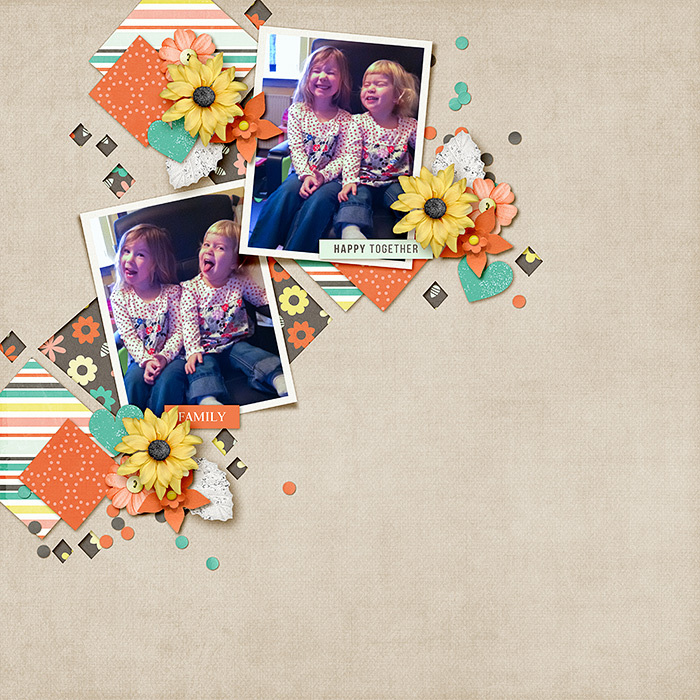 - Little Lamm & Co. 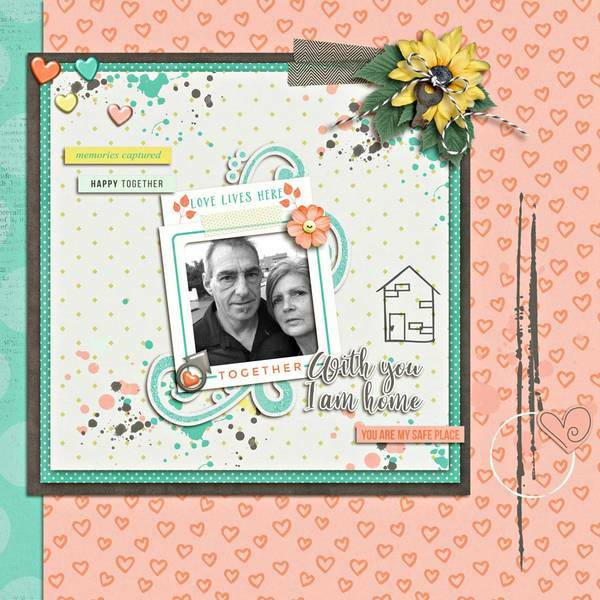 Here's the page I made with pieces from Anita Designs, Dunia Designs, KimB Designs, Laura Banasiak, ninigoesdigi, Sherry Ferguson Designs & Wishing Well Creations by Laura Passage. Remember, your layout or project must be made up 100% of pieces from at least 2 participating TDP designers in the May 2017 Digiscrap Parade (i.e. ONLY from the designers listed above) ...and you cannot use any other coordinating products those designers are selling separately from the Parade freebies. Your layout or project must be loaded into the gallery no later than 11:59pm PT on Wednesday 5/10 in order to be eligible for one of the CHOOSE YOUR OWN PRIZE options (and don't forget to visit that thread and put all of your potential prize choices in rank order!). Winners will be announced in the TDP newsletter on Friday 5/12. One last thing....don't forget to link your page here (click on your layout, copy the BB code to the right side of the screen, then paste that long string of code in a new reply right here in this thread) so we can leave you comments and gallery love. And lastly, May the Fourth be with you! Last edited by Laura Passage; 05-05-2017, 01:46 PM. Here is mine. Thanks for the challenge! Last edited by jcb5600; 05-09-2017, 08:55 PM. 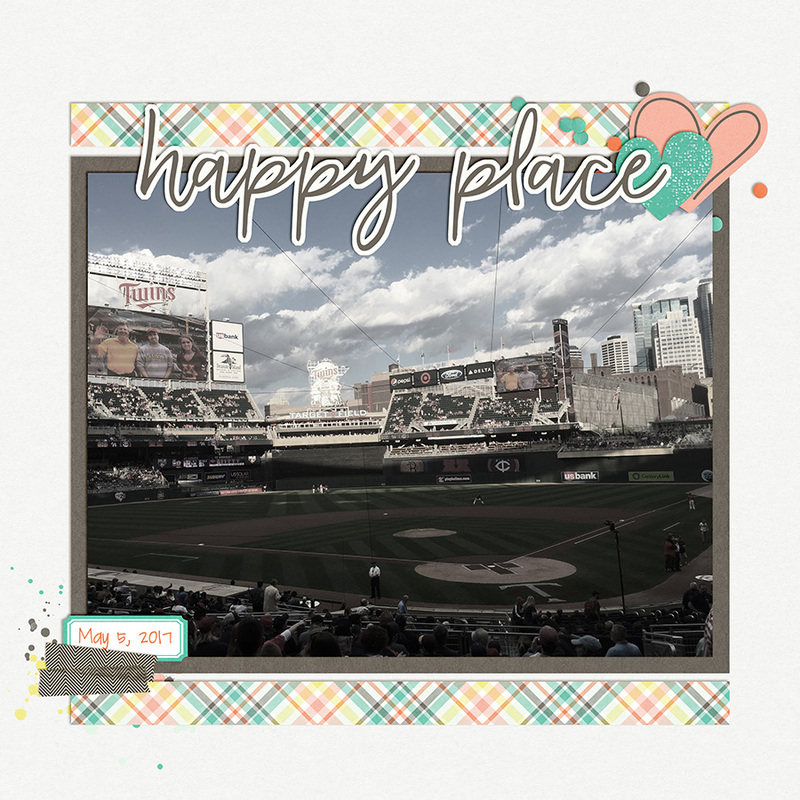 Home means different things to different people, and I love that your picture shows home plate at a Twins home game. Very cool. I don't have any great photos of my home, so I scrapped a photo I took Friday night from my seats at the Twins game. It's their home and my happy place. You flipped the template! I love it!! And the diorama....those bring back memories. It wouldn't count? Because it's a scraplift? If you include appropriate credits (e.g., 'inspired by You Are My Home by caliten' with a gallery link, or 'in the TDP gallery'), then it's fine in my book. However, I am not the powers that be with regard to NSD prizes though, so I will double check with them. And thanks for playing along....I think your page is fantastic! I'm glad you figured out the posting, Kristal. And I love all the stacked papers in your page! Thank you Hillary! That worked! Wait, what? You're human? Just like the rest of us?!?! 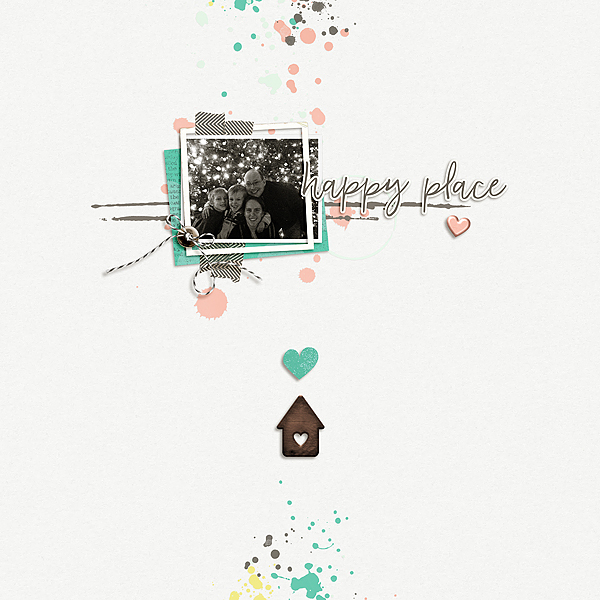 Seriously though, gorgeous page, Amie. arg- typo! Oh well- I will change it on my full size- but you guys get to see that I'm human!